In Lautsi v. Italy the Grand Chamber of the European Court of Human Rights decided that the display of the crucifix on the classroom walls of Italian state schools is compatible with the European Convention of Human Rights. In this article we develop an account of neutrality, which militates against the decision of the Grand Chamber and vindicates the claimants. Its gist is that neutrality is not only infringed, when individuals are coerced by the state to pursue a certain religious faith or attitude, but also when the state endorses a religious faith or attitude in regulating areas of social life that pertain to one’s status as free and equal member of the political community. Breaches of neutrality, thus understood, constitute a violation of the right to religious freedom. They are also not amenable to a proportionality assessment and impose a uniform standard for all members of the Council of Europe. The display of the crucifix in Italian state schools falls short of this standard. It is fair to say that in recent years the European Court of Human Rights has spearheaded European developments in fundamental rights protection. In areas as disparate as data protection and social rights, its rulings have both triggered widespread debate about the meaning of rights and inspired hopes about their fuller realization. Even when these hopes are dashed, there is no denying that the Court plays a pivotal role in the human rights discourse of Europe, which is why all interested parties look up to it for vindication and guidance. With its decision in Lautsi v Italy the Court has once again taken a decisive –though perhaps not conclusive- stand in the cultural wars currently raging in Europe regarding the place of religion in the public sphere. In Lautsi, the battleground was the content and orientation of public education. It is not the first time that the Court has entered this particular fray. The relationship between religious majorities and minorities in society, the extent of their respective claims to shape the social, cultural and intellectual environment, and the role of the state in their tug-of-war are the source of recurring tensions, which inevitably spill over into disputes about public education. Overtime, the Court’s response has oscillated between two extremes. Thus, the Court has been more willing to cede to the claims of private individuals against majority-friendly educational policies in a series of cases culminating in Folgerø. While emphasizing that it is up to the state to design school curricula and public education more generally, a task in which it enjoys considerable discretion, the Court in these cases vigorously asserted the important constraints on this task that stem from the government’s duty to ensure openness and respect for individual conscience in the educational environment. Another line of cases, by contrast, is marked by the Court’s effort to give due weight to the important state interest in shaping public education, which on occasion competes with claims of religious freedom and may outweigh them. Sometimes, the Court construes this interest by reference to the protection of public order, public safety, or the rights of others. Still, other times the Court accepts that the educational policies of European states are properly aimed at instilling the ideal of equal citizenship and perpetuating the bonds of a certain political community. A characteristic example in this vein is Leyla Sahin v. Turkey, in which the Court ruled that the decision of a Turkish state university to expel a student who wore the Muslim headscarf in class did not violate Article 9 of the Convention. In reaching this conclusion, the Court had occasion to evaluate Turkey’s robust version of state secularism, which it found to be ‘the paramount consideration underlying the ban on the wearing of religious insignia in universities’. It contended that ‘it is understandable in such a context where the values of pluralism, respect for the rights of others and, in particular, equality before the law of men and women, are being taught and applied in practice, that the relevant authorities would consider that it ran counter to the furtherance of such values to accept the wearing of religious insignia’. It thus deemed it permissible under the Convention to tailor public education according to the precepts of secularism, even at the expense of individual claims of religious freedom. These trends in the Court’s jurisprudence seem to be motivated by two very different impulses, which we shall call, respectively, libertarian and paternalistic. Both impulses occupy a prominent place in the political discourse of democratic societies and cannot be rejected in the abstract. On the one hand, we want the public school to be an environment tolerant and respectful of diversity, not an intellectual steamroller. At the same time we view it as an important public institution that not only provides skills and knowledge that are necessary for individuals to successfully pursue their conception of the good, but also promotes important values, such as patriotism and citizenship, and thus assists in the integration of young people in their political community. Still, the two impulses often point in different directions, and it is difficult to combine their demands in a consistent way. To do this, we need an overarching theory. The libertarian and paternalistic impulses were brought into sharp relief –and the lack of an overarching theory acutely felt- in Lautsi. This time what was at stake was the permissibility of the display of the crucifix in school classrooms. The challenge was brought before the Court by an Italian citizen, Ms Soile Lautsi, acting in her own name and on behalf of her two children, who at the time the application was filed were attending school. The question facing the Court was whether the practice of displaying the crucifix in the classroom, common in many European states, violated her children’s right to religious freedom under Article 9 of the Convention and right to education under Article 2 of Protocol no. 1 and Ms. Lautsi’s own right as a parent to educate her children in accordance with her philosophical and religious convictions, again under Article 2 of Protocol no. 1. In fact, the Court had two bites at the cherry. Initially, a Section of the Court unanimously ruled in favor of the applicants. The Chamber maintained that the display of the crucifix amounted to an illicit imposition of religious beliefs on the applicants. It reasoned that ‘[t]he schooling of children is a particularly sensitive area in which the compelling power of the State is imposed on minds which still lack…the critical capacity which would enable them to keep their distance from the message derived from a preference manifested by the State in religious matters’. Subsequently, the Chamber Judgment was reversed by the Grand Chamber, to which the case was referred upon a Rule 73 request by the Italian Government. By an overwhelming majority, the Grand Chamber rejected the Chamber’s view that the display of the crucifix results in an undue influence in religious matters. The Grand Chamber did not explicitly yield to the paternalistic impulse to allow this policy on the ground that it promotes Italian national identity. In fact, it agreed with the Chamber that the crucifix is crucially a religious symbol of the Christian faith. Still, it contended that given the wide variety of approaches adopted by European states concerning the place of religion in state schools, it was not appropriate for the Court to impose one to the detriment of others. It thus concluded that the Italian Government had stayed within the margin of appreciation it enjoys in this diverse setting. Does the display of the crucifix engage the right to religious freedom and the right of education of non-Christians as well as the right of non-Christian parents to educate their children according to their own convictions? Explicating the bearing of each of these rights on the case poses its own challenges, to which it is impossible to do justice in the space of one article. What we shall do instead is focus on the following more general problem: How is the children’s religious freedom to be respected in public education? This seems to be the pivot of both the applicants’ claim and the Court’s judgment. For, the children’s right to education can only be said to have been affected in this case, if children can legitimately object to the display of religious symbols in the classroom, and this in turn depends on the best understanding of their religious freedom in the educational context. As for the parents’ right to educate their children in accordance with their philosophical and religious convictions, this constitutes a weak and not particularly promising basis for the applicants’ complaint. As Judge Rozakis insists in his concurring opinion, parents in modern societies have to reckon with the fact that their influence on their children’s upbringing will compete with other influences, including the influence of the school environment, and they cannot properly demand that theirs be decisive; nor can they demand that the school not educate children in matters of religion and philosophy. What they can demand is that their children’s education will not be subject to illicit influences regarding religious matters, but this again seems to ride on the back of the children’s religious freedom. The Court has fleshed out this requirement to entail that, in organizing public education, the State should act ‘neutrally and impartially’. It is this duty that the applicants alleged the Italian State had violated. In this article, we shall articulate an understanding of neutrality that vindicates the applicants’ claim in Lautsi. Of course, the concept of neutrality is the locus of intense dispute in contemporary political theory, and the understanding of that concept we shall offer –drawing on the work of John Rawls and other liberal political theorists- is far from uncontroversial. However, it is not our aim here to provide a complete philosophical defense of our proposal. Primarily, we seek to show that the applicants’ claim has at least a plausible basis in political philosophy, and that, thus reconstructed, it is not vulnerable to some of the criticisms leveled against it by the Grand Chamber majority. But, our agenda goes beyond Lautsi. At various points of the argument, we shall try to indicate how our understanding of neutrality also furnishes a principle of broader import that can guide the Court in determining the place of religion in education. More specifically, it helps us reconcile the opposite forces of religious freedom and the state interest in education and thus make sense of much of the rest of the Court’s jurisprudence in this tangled area. Equipped with it, we can understand why the Court has embraced seemingly contradictory positions in cases like Folgerø and Leyla Sahin. In the process, we may conclude that some of its decisions are best viewed as mistakes. But we can discard those mistakes in the name of a principle that is faithful to the Court’s overall record. (1) What does state neutrality on religious matters in public education mean? (2) How does neutrality bear on the Court’s decision in Lautsi? The first question will raise fairly abstract issues of political morality (sections 2 and 3), whereas the latter will orient the discussion towards concerns more pertinent to fundamental rights adjudication, especially at the supranational level (section 4). ‘Neutrality requires a pluralist approach on the part of the State, not a secularist one. It encourages respect for all world views rather than a preference for one. To my mind, the Chamber Judgment was striking in its failure to recognise that secularism (which was the applicant’s preferred belief or world view) was, in itself, one ideology among others. A preference for secularism over alternative world views—whether religious, philosophical or otherwise—is not a neutral option’. In his fascinating testimony to the Grand Chamber as a representative of the intervening Member-States, Professor Joseph Weiler has dramatized this strategy with his parable of Marco and Leonardo. Marco comes from a family of atheists, Leonardo from a religious family. Weiler invites us to imagine their reactions, first, when they go to each other’s home and notice the crucifix or its absence, and second, when they notice the same thing in their classroom. There is no reason to think, Weiler maintains, that Leonardo will feel any less uncomfortable or surprised or challenged in a classroom without the crucifix than Marco in one with it, just as they will feel when they visit each other’s home. That is because, as he stresses, secularism is nowadays itself ‘a rich world view, a position of conscience’. This, for Weiler, is what Leonardo confronts when he sees an empty wall in his classroom. Is an empty wall as objectionable or as unobjectionable as a wall with the crucifix? Should someone who objects to the crucifix in the name of neutrality also oppose an empty wall? The suggestion from Judge Power’s concurring opinion and Professor Weiler’s parable seems to be that, if the presence of a crucifix interferes with the religious freedom of atheist children and with the freedom of atheist parents to educate their children according to their own philosophical and religious convictions, the empty wall interferes with the same freedoms of religious children and parents. In the latter case, it is argued, the State would also give priority to a world view, namely secularism. To evaluate this suggestion we need to delve deeper into the meaning of state neutrality. At the most general level, neutrality denotes a liberal constraint on the way the state may deal with the pluralism of world-views, especially religious, that is characteristic of liberal democracies. For proponents of state neutrality, citizens of a liberal polity regard one another as free and equal participants in a cooperative social scheme, each capable of judging on her own what it means to live well. It follows from this that in a polity committed to neutrality ‘the interests and concerns of every member of the political community should be treated equally, that no person or group should be treated as unworthy or otherwise subordinated to an inferior status’. For this to be achieved, the terms governing their cooperation should be such that they give each citizen a fair opportunity to lead a worthwhile life, regardless of the conception of the good she happens to embrace. In other words, the state must avoid rigging the rules of the game in favour of one conception of the good, because to do so would amount to denying those who hold a different conception of the good the status of free and equal participant. More specifically, individuals must be afforded a space of personal freedom (as well as other social resources). Within this space individuals are in principle left alone to form, revise and pursue their own conception of the good life. The state will not take sides on what makes individual life worthwhile. As a general matter, when the state proceeds to make such judgments and act on them, it fails to treat some of its citizens as free and equal. This is the case not only when the state forbids a certain religious conduct as unworthy, but also when it endorses a certain religious faith or attitude as superior. Neutrality is to be contrasted to secularism, of which the French laicité tested in Dogru v France and the Turkish model at issue in Leyla Sahin are variants. Their main difference has to do with their point of focus. Whereas neutrality refers to a constraint on the use of state power, secularism identifies goals that a state ought to pursue. A secular state aims to foster among its members the sense of belonging to their political community. It thus takes active measures to inculcate in them a civic spirit. For this reason, a secular state is much more prone to the paternalistic impulse than a strictly neutral state. Following on from that, the two concepts reserve a different place for religion in the public sphere. A state committed to a robust version of secularism removes all reference to religion from the public sphere. In addition, it requires that, when they enter the public sphere, citizens shed or suppress their private identity and assume their civic identity. Accordingly, the critical question for a secularist is which areas of social life belong to the public sphere. The underlying idea is that, if religion were allowed to be expressed in the public sphere, a person’s civic identity would be overwhelmed by her private identity and by her commitment to her religious community; this would destroy the civic bond and engender sectarianism. On the contrary, neutrality does not oppose the manifestation of religious beliefs in the public sphere by private individuals, since its main concern is the manifestation or endorsement of religious beliefs and attitudes by the state. Hence, the critical question for an adherent to neutrality is which acts count as illicit state endorsement of religion. We said earlier that the neutral state leaves the individual alone to form and pursue their conception of the good life. What exactly does ‘leaving alone’ mean in this context? One suggestion might be that the state leaves an individual alone when it neither advantages nor disadvantages her conception of the good life. But this is implausible. The law is very likely to make the pursuit of one or the other conception of the good life more difficult. It may be, for instance, that a certain expensive lifestyle demands resources that exceed the share everyone can legitimately claim from the political community. It is commonly accepted that the neutral state is not enjoined to ensure that all lifestyles are equally easy to pursue; in other words, that the neutral state ought not to strive for consequential neutrality. Thus John Rawls writes that ‘it is surely impossible for the basic structure of a just constitutional regime not to have important effects and influences as to which comprehensive doctrines endure and gain adherents over time; and it is futile to try to counteract these effects and influences, or even to ascertain for political purposes how deep and pervasive they are’. (PL 193-197) However, this is not primarily a matter of practicality. Rawls adds: ‘But the important question surely is whether the political conception is arbitrarily biased against these views, or better, whether it is just or unjust to the persons whose conceptions they are, or might be’. (JFR 154) What then is the criterion for arbitrary bias? To answer this question Rawls and other liberal theorists invoke the idea of neutrality of aim. Neutrality of aim condemns those practices that are ‘intended to favor any particular comprehensive view’. (JFR 153) According to neutrality of aim, the standards that govern the life of a political community ought to be grounded in premises and assumptions that are publicly recognisable, that is, acceptable by all. The focus, then, is on justification. In the words of Charles Larmore: ‘Political neutrality consists in a restraint on what factors can be invoked to justify a political decision. Such a decision can count as neutral only if it can be justified without appealing to the presumed intrinsic superiority of any particular conception of the good life’. From this it follows that I cannot offer my religious beliefs as ground for the use of state power, because atheists or those of a different persuasion cannot share them. My religious beliefs may furnish reasons for me, but these reasons cannot be made public. My claims about the proper use of state power have to be recast in terms that we can all understand and endorse as regulative of the relationship between free and equal participants in a fair system of social cooperation. Only then can I say that I truly respect them as fellow-participants in the project of establishing and maintaining a fair system of social cooperation. As Rawls notes, ‘one leading aim of public justification is to preserve the conditions of effective and democratic social cooperation on a footing of mutual respect between citizens regarded as free and equal.’ (JFR 28) Of course, justifications cannot be tendentious, serving only to mask a sectarian agenda. There is considerable debate in political philosophy about how exactly to flesh out this requirement. For present purposes we shall simply say that they must be credible. Neutrality of aim with its corollary notion of public justification is not a mere philosophical construct, detached from reality. In fact, it strongly resonates in the case-law of the ECtHR. Thus, in Leyla Sahin the Court placed emphasis on a number of justifications for the interference with the applicant’s religious freedom that were aimed at meeting the condition of publicity. (Whether they were credible or not is another matter; the Court decided that they were.) Those included the promotion of gender equality, the protection of the rights of others from proselytisation and extremism. In Lautsi itself the Government clearly sought to give the display of the crucifix a public justification, when it resisted the understanding of the crucifix as a parochial religious symbol and argued instead that it stood for a set of values with universal reach that constitute the basis of the modern Italian state. 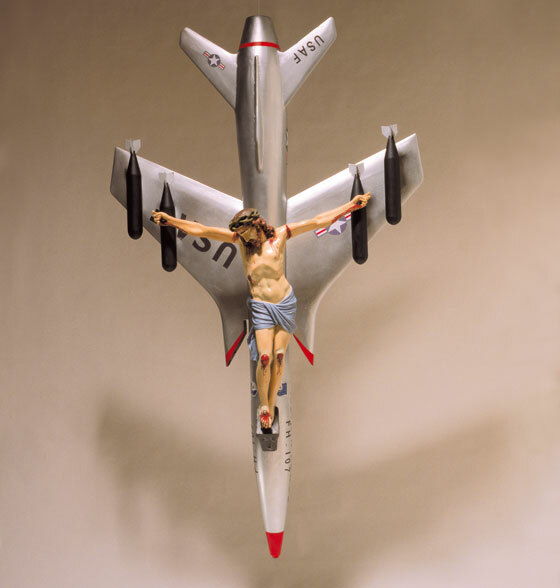 In turn, when the Court took issue with the Government’s interpretation of the crucifix, it was not fussing about a minor point. Quite the contrary, it was assessing whether there was a credible public justification for its display in public schools. That is, it was doing precisely what neutrality of aim commands. Does neutrality, even if it is understood in this way, impose too tall an order? More specifically, does it require the renunciation of practices and rules that celebrate the contingent political history of different states, marked, as it sometimes is, by the presence and support of a certain church? Does it prescribe the elimination of the cross from national flags, the discarding of public holidays and ceremonies that have religious pedigree or connotations such as Christmas Day and more generally a strict and thoroughgoing separation of church and state? This seems to be the position advocated by the Chamber: ‘The duty of neu­trality and impartiality of the state is incompatible with any judgment on its part of the legitimacy of religious beliefs or ways of expressing them’. This position appears excessively sweeping. To begin with, a complete overhaul of a nation’s political history and tradition involves tremendous costs in efficiency and stability. Even if such an overhaul were dictated by neutrality, it is far from evident that a state should adopt this kind of fiat justitia pereat mundus approach. Neither, of course, is it guaranteed that it would be able to devise, say, a system of public holidays that satisfies everyone. Furthermore, for many, such a radical version of neutrality ignores that our allegiance to a particular political community is in part generated by our identification with that community’s ‘history, traditions and social fabric’. Patriotic feeling, thus generated, would be irretrievably lost in a sanitized, politically correct, neutral state. This reasoning is echoed in the Italian Government’s submission that the crucifix was ‘the expression of a “national particularity”, characterized notably by close relations between the State, the people and Catholicism attributable to the historical, cultural and territorial development of Italy and to a deeply rooted and long-standing attachment to the values of Catholicism’. Does neutrality of aim dictate that state action be cleansed of any reference to symbols with a sectarian meaning? Does it trump other considerations such as history, tradition or convenience in every case? To see why this is not so, we need to appreciate the stringency and scope of the notion of public justification. Let’s start with convenience. The economic and other social benefits of a uniform system of public holidays and the absence of a compelling and realistic alternative provide adequate and credible public justification for maintaining the status quo. Although we strive to accommodate religious diversity in the implementation of such a system, we do not think that, as it stands, it primarily serves sectarian purposes. How about policies that celebrate a political community’s past, when that past bears witness to the existence of close historical ties with a majority religion? To answer this question, it is worth reminding ourselves that not all types of state action have the same importance from the point of view of neutrality of aim. Its requirements have more force when applied to state action that pertains to central aspects of one’s status as free and equal participant to a fair scheme of social cooperation. We do not need to provide an exhaustive list of those aspects. It suffices to point to a few examples from the jurisprudence of the Court. Consider for instance political participation and access to justice. Equal and impartial treatment in both these areas of social life is integral to one’s standing as a citizen, given their symbolic import and their practical significance, especially in the case of access to justice. For this reason, we submit, neutrality has special bite there. Thus, it would be impermissible to display a crucifix in a courtroom or in a polling station. Now contrast political participation and access to justice to, say, the national flag. Regardless of its salience and visibility, the latter makes much less difference to one’s status as free and equal. Accordingly, the crosses on the Union Jack involve, to use Dworkin’s apt expression, ‘precious little endorsement of religion’. The same can be said about the other examples that Weiler lists: the reference to God in the British national anthem, or the Irish and German Constitutions, and the establishment of a church in countries such as Denmark. Given the role of education for social integration, it is hard to resist including it in the same category with political participation and access to justice. This, then, was the root of the mistake in Leyla Sahin. It is not that a democratic society may never act on the paternalistic impulse or that it may never make ‘a judgment of the legitimacy of religious beliefs or ways of expressing them’, as the Chamber maintained; it is safe to predict that many paternalistic policies and many state-sponsored religious messages will turn out to be below the radar of neutrality of aim. It is because education is critically pertinent to an individual’s status as free and equal. Hence, whatever the benefits from an educational policy that aims to increase social cohesion, we cannot pursue it if it sends a message of unequal standing to public school students, depending on their religious beliefs. This, one might say, is the price we have to pay for religious freedom. Neither, too, is there any publicly acceptable reason of convenience not to remove the crucifix from the classroom. The only social benefits that would accrue from preserving the status quo would be those tainted by the breach of neutrality. In the light of the preceding analysis, it becomes clear that the empty wall does not promote secularism. It could be said to do so, only on the assumption that the walls of the classrooms of public schools are for hanging religious symbols or for displaying an attitude towards religion, more generally. But this is precisely the assumption that a commitment to neutrality condemns. In a neutral state, citizens can legitimately expect that the State will not use the school environment to champion any parochial position on religious matters. Thus, the empty wall can properly be seen as the default of neutrality. In a classroom with an empty wall, both Marco and Leonardo are afforded an equal place. In this sense it is mistaken to accuse the applicants, as Judge Power did in her concurring opinion, of inviting the Court to construe Article 9 as requiring ‘a preferential option for and endorsement of [the applicant’s] convictions over and above all others…’. No doubt, it is possible that Leonardo will find it surprising or even distressing that the wall of his classroom is so different from the wall of his house. But why would he ever think that they should look the same? This critical moment may just be the right opportunity for his parents and his teachers to teach him a thing or two about rights, pluralism and the public/private divide. In the previous sections it was argued that on a plausible understanding of state neutrality, the practice of the Italian State runs afoul of it. Neutrality, we contended, requires the State to abstain from acts that can only be credibly justified by a judgment that a certain religious faith or religious attitude is valuable as opposed to others. Admittedly, though, neutrality as such is not explicitly guaranteed by the Convention. As we have seen, it was the Court itself that introduced the concept, when it referred to the duty of the state to organize public education ‘neutrally and impartially’. Is this just a throw-away dictum or is neutrality inherent in the notion of freedom of religion, as enshrined in the Convention? Put differently: Should a Human Rights Court be in the business of enforcing it? These questions will be the topic of this section. In response to them, we shall explain why neutrality, as defined above, is not just one among several permissible -even perhaps attractive- strategies for dealing with religious diversity. Quite the contrary, breaches of neutrality –at least in the more important cases- are moral harms that are so grave as to give rise to a claim of right. This investigation will give us occasion to expand on our account of neutrality. But it also has a more tangible effect. It deals a serious blow to the reasoning of the Court in Lautsi. There, the Grand Chamber relied heavily on the proportionality test and the margin of appreciation, in order to define the protective scope of Article 9 and, ultimately, to dismiss the applicants’ claims. It argued that the interference with the applicants’ rights by the Italian state was proportionate and fell within the margin of appreciation that European States enjoy concerning their compliance with their Convention obligations. Drawing on our account of the harm constituted by breaches of neutrality, we shall show that these arguments cannot save the policy of the Italian state. The force of the applicants’ claim in Lautsi remains unaffected by them, because the guarantee of neutrality is not susceptible to a proportionality assessment and imposes a uniform standard on state conduct across Europe. We shall start our analysis by connecting neutrality and the right to religious freedom. Our aim is to show that neutrality is a matter of individual right. Granted, the requirements of neutrality as understood above go beyond a narrow conception of rights as spheres of freedom from interference. For one thing, neutrality does not only guard against acts of the State that ‘compel or coerce an individual to do or to refrain from doing’ something that engages one of her fundamental rights; many courses of action that flout neutrality do not seem to also have a coercive effect. But if this is so, in what respect does the display of the crucifix in schools abridge religious freedom? In order to answer this question, we ought to identify the moral harm constituted by the display of the crucifix. Whatever else it might be, the harm in question cannot be offence at ‘the manifestation of the religious beliefs of others’, which have been given ‘preponderant visibility’ by the state. Neutrality regulates the relationship between an individual and the political community, not other individuals. Accordingly, the applicants in Lautsi took issue with the display of the crucifix in the name of neutrality not because the crucifix expresses the religious beliefs of some of their fellow-citizens, but insofar as those religious beliefs have been given the seal of approval of the political community. This is the fundamental difference that distinguishes the walls of private houses from classroom walls. Furthermore, the applicants’ claim was not that the crucifix be replaced by a symbol that expressed their own religious beliefs, but that the state abstain from favoring any religious faith or attitude altogether. Neither, as we have noted above, does the harm consist in the offence of being compelled to endorse a certain religion. We are not interested in this form of psychological offence. A focus on psychological offence would lead us to embrace some form of consequential neutrality. By contrast, from the point of view of neutrality of aim it makes little difference if Ms Lautsi and her children were minimally perturbed by the sight of the crucifix. The rights they want to vindicate are independent of any psychological state they have experienced. They have to do with the way the state has treated them in a central aspect of life in a political community. Insofar as the state has acted on ‘the perception that one faith is true, ennobling, attractive or somehow congenial’, it has failed to treat them as free and equal members of the political community. The display of the crucifix with its connotations of endorsement of Christianity by the state represents just such a failure. Stopping it is not just a good idea, or an expedient public policy. It is a matter of justice for the applicants. It is thus properly dealt with as a matter of fundamental right. A Human Rights Court has every reason to take interest; in fact, it must be primarily interested in it. But instead of fixing on the aforementioned harm, the Court in Lautsi went on to ascertain whether the interference was disproportionate compared to the goal achieved. This, of course, is a familiar form of argument under the Convention. However, it is not entirely clear how proportionality might enter into an assessment of the permissibility of the practice in question in Lautsi. One is the route taken by the Grand Chamber. In its view, the display of the crucifix cannot be properly evaluated, unless it is put in context. More specifically, in order to assess the extent to which it compromises neutrality, we ought to take into account other features of the educational environment in Italian public schools that purport to sustain respect of religious diversity and toleration. The Judgment drew attention to the fact that ‘it was not forbidden for pupils to wear Islamic headscarves or other symbols or apparel having a religious connotation; alternative arrangements were possible to help schooling fit in with non-majority religious practices; the beginning and end of Ramadan were “often celebrated” in schools; and optional religious education could be organised in schools for “all recognised religious creeds”. Moreover, there was nothing to suggest that the authorities were intolerant of pupils who believed in other religions, were non-believers or who held non-religious philosophical convictions’. The Court also highlighted that the crucifix itself is a passive symbol, and that its presence was not accompanied by any attempt at indoctrination or by compulsory teaching of the Christian faith. Thus, for the Court, even if it is granted that the crucifix is a religious symbol that champions Christianity, the neutrality-compromising effect of its display in the classroom is cancelled out or mitigated by those further tolerance-enhancing arrangements. These remarks have close affinity with the notion of consequential neutrality. Clearly, if we are assessing the harm of a non-neutral policy such as the one of the Italian government by measuring its psychological impact on students, it makes sense to take into account whether its negative effects are somehow counterbalanced. Equally, it makes sense to insist on the nature of the crucifix as a passive symbol; undoubtedly, a teacher who marshals all her authority and power of persuasion in order to indoctrinate the students in the precepts of one religion is more likely to influence than an inert religious symbol. Following on from that, a commitment to consequential neutrality explains the Court’s understanding of the burden of proof. In evaluating the Chamber’s contention that the presence of the crucifix amounts to the imposition of beliefs, the Grand Chamber argued that ‘[t]here is no evidence before the Court that the display of a religious symbol on classroom walls may have an influence on pupils and so it cannot reasonably be asserted that it does or does not have an effect on young persons whose convictions are still in the process of being formed’. If you accept consequential neutrality, the logic of this argument is impeccable. Since we are measuring a tangible harm that the policy has caused, the applicants must be able to provide evidence that this harm has actually occurred or at least is probable under the circumstances. When no such evidence is forthcoming, their claim must fail. Finally, the Court’s reliance on some form of consequential neutrality helps us better appreciate its juxtaposition of Lautsi and Folgerø. Remember that in the latter case the Court had accepted the applicants’ claim that the teaching of a subject on religion and philosophy (with a strong emphasis on Christianity) without the provision of adequate exemptions violated Article 2 of Protocol no. 1. If a) the interference caused by a compulsory system of religious education is more ‘intense’ than the interference caused by a ‘passive symbol’ such as the crucifix and b) the intensity of interference is relevant to the proportionality assessment, then it is not unprincipled to find for the applicants in one case and against them in the other. There is no denying that the efforts of the Italian state to create and sustain a tolerant educational environment listed above are laudable. It may even be true that thanks to those efforts the presence of the crucifix was not felt by non-Catholic students as an imposition, contrary to the fears expressed by the Chamber. However, the reasoning of the Grand Chamber on this point gets neutrality wrong. It is only if we are interested to know whether the practice of atheism or a minority religion is as a matter of fact disproportionately inconvenienced or disadvantaged in a school environment where the crucifix is displayed that we have reason to balance the effect of the presence of the crucifix against the effect of countervailing forces or to seek evidence of actual influence or to make much of the passive character of the crucifix. By contrast, our investigation is very different when we are testing this practice against the standard of neutrality of aim, as we have urged in this article. For a proponent of neutrality of aim, the kind of balancing exercise described in the preceding paragraphs appears largely redundant. Instead, what is required is to determine whether the practice in question can be justified by appeal to considerations that are not sectarian. If, as both the Chamber and the Grand Chamber found in Lautsi, the display of the crucifix was motivated in large part by an endorsement of its religious meaning, then the conclusion is inescapable that it was non-neutral. Thus, breaches of neutrality of aim –at least in the areas of social life where neutrality is necessary- are not a matter of degree. So, for instance, it seems deeply counter-intuitive to say that a policy that merely encourages pupils to pray in school is less unsavoury because more proportionate than a policy of compulsory school prayer. Neutrality of aim condemns both policies, since both are stung by the same political defect. That is not to say that the compulsory nature of a system of religious education, as the one in question in Folgerø, does not make a difference to the resolution of a case from the point of view of neutrality of aim. But the difference is evidentiary: The endorsement of religion –the taking of sides- is more clear-cut, when the state has made religious teaching compulsory. Neither does the nature of a symbol as passive or active cut any ice, if we start from neutrality of aim. We do not think that the display of the crucifix would be more acceptable, if the atheist pupil was blind and thus did not experience any offence upon entering the classroom. In the previous sub-section we argued that the proportionality assessment the Court undertook does not weaken the applicants’ claim in Lautsi, if the latter is understood in terms of neutrality of aim. But as is well known, in order to establish a violation, the ECtHR must additionally judge that the state has not exceeded the margin of appreciation afforded by the Convention. In fact, this criterion played a crucial role in Lautsi, and it is to its evaluation that we now turn. As will become clear, our verdict on the argument from the margin of appreciation is the same as above: It only holds sway, if one fails to appreciate the nature of the harm constituted by breaches of neutrality. [T]he Court is a court of law, not a legislative body. Whenever it embarks on a search for the limits of the Convention’s protection, it carefully takes into consideration the existing degree of protection at the level of the European States; it can, of course, afford to develop that protection at a level higher than the one offered by a specific respondent State, but on condition that there are strong indications that a great number of other European States have already adopted that degree of protection, or that there is a clear trend towards an increased level of protection. The argument from the margin of appreciation was placed front and centre in Lautsi as well as in earlier judgments like, for instance, Leyla Sahin and Dogru. In all these cases, the Court stated that it is largely up to individual Member-states to design the public school environment in a way that reconciles the individual demands of religious conscience with other public goals. The secular approach adopted by Turkey and France is one option, but there are others such as those adopted in the UK, Switzerland, and the Scandinavian countries. Upon closer inspection, though, there is very little room for the notion of the margin of appreciation in the types of situation that we are concerned with. It would make sense, only if neutrality were just one strategy among many for dealing with religious diversity, on a par with, say, secularism. In that case, it would indeed be up to each state to choose whether or not to adopt it, taking into account ‘the specific domestic context’. But this, again, would be to misunderstand neutrality. Neutrality sets certain minimal constraints on state action that, on the understanding developed in this article, are inextricably linked with the very idea of a liberal regime. Within those constraints a variety of different strategies are permissible, including some –though not all- secular policies. (In this sense, neutrality and secularism are not per se antithetical.) Consequently, much of the diversity that Weiler and others rightly emphasize will pass the test unscathed. But the constraints themselves are not negotiable or optional. As such they delimit the margin of appreciation, and thus their observance should properly be the subject of supranational scrutiny. In this sense the language of higher and lower levels of protection is rather inapposite here. We do not invite the Court to ride the wave of some emerging trend for harmonization. Neither do we maintain that it should throw its weight with one or the other side in the European cultural wars of today. Rather, we insist that it ought to police the ground rules, under which these wars for the character of our shared social environment will be conducted in a spirit of equal respect. European states have long histories that stretch back to the time before religious toleration. We cherish these histories and seek to find in them inspiration and the source of national pride. We want to impart their lessons to the younger generations. But we cannot let them blind us to the peculiar political challenges that we face here and now. If our past was parochial, our present must be as tolerant as it is pluralistic; no religious group, whatever its clout, can claim a privileged place in it. We therefore have to design our collective life in a way that retains vivid the sense that every citizen deserves equal respect independently of her religious beliefs. We ought to pay special attention to the set-up of our schools. Clearly, education is too important for each one of us to be left prey to sectarian politics. In this article we have argued that the concept of neutrality can help us steer our course amidst the thorny political choices that we have to make in responding to the challenges of pluralism. More specifically, we have shown that it imposes limits on the content and shape of state education in the name of equal respect, while at the same time leaving room for the promotion of collective –even paternalistic- goals. We have also suggested that it casts doubt on two of the Court’s most enduring argumentative devices, the proportionality test and the margin of appreciation, at least as those devices have traditionally been understood and employed in the case-law. Recognizing the importance of religious freedom and education in a democratic society, the Court has in the past not hesitated to scrutinize educational policies for their conformity with neutrality. But its commitment to human rights has not been matched with the appropriate analytical toolkit, whose limitations were exposed in Lautsi. A more careful elaboration of the idea of neutrality may well breathe new life in the Court’s efforts. *León Ferrari: “La civilización occidental y cristiana” (1965) Installation view 52th Exposition of Contemporary Art La Biennale di Venezia 2007. Folgerø and Others v. Norway [GC], no. 15472/02, ECHR 2007‑VIII. In this case a number of parents had complained that the compulsory teaching of a subject in religion, without the provision of adequate exemptions, infringes their right under Article 2 of Protocol No. 1. The Court accepted their complaint. Note though that this case was decided by the narrowest of margins. See also Hasan and Eylem Zengin v. Turkey, no. 1448/04, §§ 51 and 52, ECHR 2007‑XI Kjeldsen, Busk Madsen and Pedersen v. Denmark (judgment of 7 December 1976), Series A no. 23. The case of Leyla Sahin v Turkey (44774/98, decision of July 29 2004) provides an illustration. There, the Court noted the rise of religious extremism as an element of the political background of the case and was prepared to see the policy of the Turkish state as a response to that phenomenon. (Ibid par. 108-9) As we suggest below in the text, this was not the main basis of the Court’s decision. See Dogru v France and Kervanci v. France, no. 27058/05 and 31645/04, Judgment of 4 March 2009. See for instance Dahlab v. Switzerland, no. 42393/98, ECHR 2001-V, Karaduman v. Turkey, no. 16278/90, Commission decision of 3 May 1993, DR 74. Leyla Sahin v. Turkey, above n 2. Ibid (emphasis added). The Court explicitly considered and allowed the principle of secularism in a number of cases which tested the compatibility with the Convention of the 2004 Act banning ‘the wearing of signs or dress manifesting a religious affiliation’ in French state schools. See Bayrak v France 14308/08, 30 June 2009, Ghazal v France 29134/08, 30 June 2009, Gamaleddyn v. France no 18527/08, 30 June 2009, Aktas v. France, 43563/08, 25 May 2010. All these cases were deemed inadmissible. As evinced in the unusual number of interventions by Member-States. Interestingly, the Grand Chamber put the parents’ right at the forefront of its Judgment. See Kjeldsen, Busk Madsen and Pedersen v. Denmark (judgment of 7 December 1976), Series A no. 23, par 52. In line with this precedent, both the Chamber and the Grand Chamber examined Article 2 of Protocol No. 1 in conjunction with Article 9 of the Convention in relation to both the parent and the children. See Lautsi 1 par. 57-58 and Lautsi 2 par. 78. Compare Leyla Sahin, which was decided on the basis of Article 9 taken in isolation. The testimony is available to watch at http://dotsub.com/view/65bc5332-aa10-4b8c-bc50-d051e8f4fcc7. Its main points are contained –and some of them further elaborated- in an Editorial written by Professor Weiler before the decision of the Grand Chamber. See EJIL Editorial ‘Lautsi: Crucifix in the Classroom Redux’ 21:1 (2010) 1-6. Henceforth reference will be made to the latter version. C Eisgruber and L Sager, ‘Equal Regard’ in Stephen Feldman (ed), Law and Religion: A Critical Anthology (New York: New York University Press, 2000): 200-225 at 203. R. Dworkin, Is Democracy Possible Here? (Princeton NJ: Princeton University Press, 2006) 76. In this book, Dworkin argues that the role of the state in religious matters should be guided by what he labels the principle of personal responsibility which states that ‘each of us has a personal responsibility for the governance of his own life that includes the responsibility to make and execute ultimate decisions about what life would be a good one to lead.’ (Ibid 17) Dworkin goes on to argue that subject to a de minimis condition this principle condemns ‘any manipulation of my culture that is both collective and deliberate –that deploys the collective power and treasury of the community as a whole and that aims to affect the ethical choices and values of its members’. (Ibid 76) As we shall see below, although we appeal to something like the principle of personal responsibility to ground neutrality, we draw the boundaries somewhat differently. Instructively, the guarantee of religious freedom contained in the First Amendment of the US Constitution both protects the free exercise of religion and forbids the establishment of religion. The latter failure is well summarized in Justice O’Connor’s concurring opinion in Lynch v Donnelly, 465 U.S. 668 (1984), There she contended that ‘[t]he Establishment Clause prohibits government from making adherence to a religion relevant in any way to a person’s standing in the political community. Government can run afoul of that prohibition in two principal ways … . The second and more direct infringement is government endorsement or disapproval of religion. Endorsement sends a message to nonadherents that they are outsiders, not full members of the political community, and an accompanying message to adherents that they are insiders, favored members of the political community. Disapproval sends the opposite message.’ (465 U.S. at 688-689). Dahlab, in our view, can properly be understood as turning on precisely this question. In that case a Muslim schoolteacher was forbidden from wearing the headscarf in class. Given her role and status, it was argued, she ought to exemplify state neutrality. In our terminology, it was thought that her wearing the headscarf in class counted as an endorsement of a certain religious faith or attitude by the state. Whether that was a convincing description of the situation is a different matter. We do not mean to exclude the possibility that some kind of differential impact is taken to be evidence of a violation of neutrality, properly understood, or raises a suspicion of such violation. This, we would argue, is a plausible way of reading the effect prong of the famous Lemon test. (Lemon v. Kurtzman, 403 U.S. 602, 612-613 (1971)) Along these lines, for instance, is the pioneering view of Chris Eisgruber and Larry Sager on the issue of religious exemptions in the US. See among others C Eisgruber and L Sager, ‘The Vulnerability of Conscience: The Constitutional Basis for Protecting Religious Conduct’ 61 University of Chicago Law Review 1245-1315 (1994). Neither do we dispute that there may be circumstances under which it may be permissible to accommodate the demands of faith of religious people. But we insist that such accommodation would not be a requirement of neutrality. J Raz, The Morality of Freedom (Oxford: Clarendon Press, 1986) 117. See among others G. Gaus, Justificatory Liberalism (New York: OUP 1996), R. Audi, ‘Moral Foundations of Liberal Democracy, Secular Reasons, and Liberal Neutrality Toward the Good’ Notre Dame Journal of Law, Ethics, & Public Policy 19 (2005) 197–218, J. Habermas, ‘Religion in the Public Sphere’ European Journal of Philosophy 14:1 (2006) 1-25. Professor Weiler takes special issue with this ‘breathtaking’ position. See EJIL Editorial, above n at 2. Note that this move does not bring consequential neutrality in through the back door. To single out the aspects of social and personal life that call for a stricter enforcement of neutrality of aim, we need not measure the effects of policies on individual well-being. We need only appeal to what Rawls calls ‘a partial conception of the good rooted in a view of the objective needs of citizens regarded as free and equal’. (JFR 151) We should be able to work out such a conception solely by reference to political ideas that are part of the shared public culture of a democratic and pluralistic society, without presupposing any parochial ethical and religious worldview. Case Of The Canea Catholic Church v. Greece??? This case involved the right of the Canea Catholic Church to take legal proceedings to protect its property. It was thus decided on grounds of access to a court and non-discrimination. Still, the case clearly raised significant issues of state neutrality on religious matters, since the only basis for denying the Catholic Church –and not the Orthodox Church or the Jewish community- access to a court was sectarian animus. See EJIL Editorial, above n at 2. Likewise Rawls reserves neutrality to issues pertaining to the constitutional essentials of a liberal regime and allows that much public policy may also be driven by paternalistic considerations. See JFR ??? The phrase is taken from the concurring opinion of Judge Power who devotes a separate part to refute the applicants’ claim that the practice of the Italian state infringed their right to freedom of thought, conscience and religion enshrined in Article 9 of the Convention. She points out that ‘[t]he display of a religious symbol…does not require engagement in any activity though it may, conceivably, invite or stimulate discussion and an open exchange of views. It does not prevent an individual from following his or her own conscience nor does it make it unfeasible for such a person to manifest his or her own religious beliefs and ideas. It is debatable whether Article 9 should be construed so narrowly in the first place (For the US position see among others Torcaso v. Watkins, 367 U.S. 488 (1961) and McDaniel v. Paty, 435 U.S. 618 (1978)). Be that as it may, Lautsi is best understood as engaging Articles 9 and 2 of Protocol no. 1 in conjunction. It may well be that the two rights taken together reach farther than each of them taken separately. Judge Power suggests and dismisses this suggestion in her concurring opinion. Ibid. The passive character of another religious symbol, the crèche, was given weight by the majority in Lynch v Donnely, above n.
 One cannot fail to note that the notion of consequential neutrality makes a perfect fit with the principle of proportionality. Those who think that violations of rights are ascertained by comparing the intensity of interferences will naturally be drawn to a moral conception that prescribes assessments of degree. It is worth contemplating to what extent the Court was sympathetic to consequential neutrality because of its endorsement of proportionality. Interestingly, the Court was not as demanding in Dahlab, when it accepted that the wearing of a headscarf by a schoolteacher would exert influence on the students due to its character as a ‘powerful external symbol’. For a more general critique of the concept of proportionality in rights adjudication see ICON article, above n ??? Leyla Sahin par. 109. Still, other times proportionality and the margin of appreciation are confused, and the answer to the proportionality test is made to depend in part on the existence of European consensus. This entry was posted in Papers and tagged Dworkin, European Court of Human Rights, Habermas, Liberalism, neutrality, Proportionality, Rawls, religion, Weiler. Bookmark the permalink.